Welcome to J Ross Homes! J. Ross Homes builds quality homes in the Middle Georgia area. It is our philosophy to provide a quality home to meet our customer's desires and expectations. We have provided unique and practical home designs which meet the needs of todays discriminating buyer. 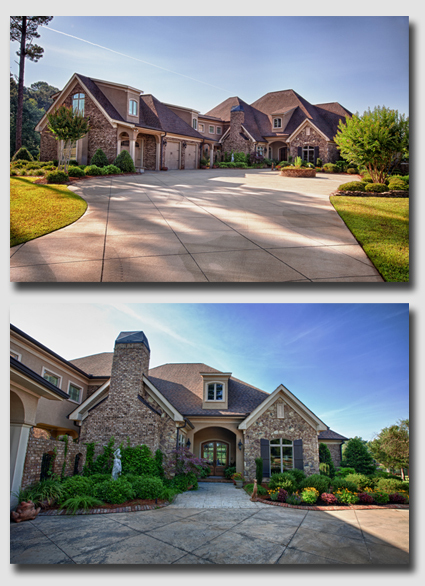 From the beginning, J. Ross Homes has been known for attention to detail and craftsmanship with every home we build. We can build on your land or in any area where a site is available. Our expertise is available to help you make decisions concerning your floor plan all the way to a landscaping plan at the completion of your home. J. Ross Homes was incorporated in 1988 by Judith Ross, a third generation homebuilder. In the beginning we started out as a scattered site builder, building in such neighborhoods as Statham's Landing, South Oaks, Mill Pond and Willow Lake, all located in Warner Robins, Georgia. Growing into the smaller lot concept led us to build such projects as Princeton Pointe in Barrington Hall, Macon, Georgia, The Orchard at Grove Pointe in Eagle Springs in Centerville, Georgia and the Vineyards on Gunn Road in Warner Robins, Georgia. We pledge our personal involvement with each homeowner from the design process to the completion of the new home. Your home is one of your most valuable assets and it is important that the decisions made concerning this investment be wise and prudent. A home will be a vital part of ones life for many years to come. Let us help you make your dream home a reality by calling us today for an appointment. We look forward to working with you. All Photography © 2017. All Rights Reserverd. © Copyright 2017 SmithTrax Recording Studio. All Rights Reserved.